Here’s a look at what’s coming out from DC Comics for July 2018. A full list of solicitations is available here. “Superman” (vol. 5) #1. Art by Ivan Reis and Joe Prado. The DCU side of DC Comics is quite busy this month. The two biggest events this month: the wedding of Batman and Catwoman, and the debut of Brian Michael Bendis on the Superman books. Unlike Lois and Clark’s marriages (pre- and post-Crisis), I’m not sure how long this marriage will last. DC’s the same company that only half a decade ago declared Batwoman and Maggie Sawyer couldn’t be married because “heroes can’t be happy.” Granted, that was before they finally declared the New 52 a flop and went with Rebirth, but the same people are still in charge. Meanwhile, Bendis’ arrival at DC and the Superman books is resulting in yet another new “Superman” issue #1. (This makes the fifth “Superman” #1 released.) 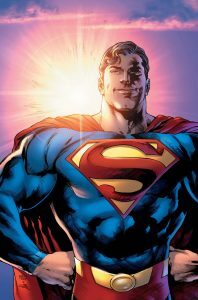 Meanwhile, “Action Comics,” fresh off April’s 1000th issue, releases the Bendis-written #1001 this month. Over in the Hanna-Barbera books, apparently “Future Quest Presents” is ending its run with issue #12, featuring Buzz Conroy and Frankenstein Jr. DC’s also releasing a trade paperback of the recent Snagglepuss series. “Scooby-Doo”‘s regular title isn’t listed in the solicits this month for some reason. Switching to bimonthly? Just running late? I somehow doubt it’s being canceled—DC’s been publishing a Scooby-Doo book non-stop since 1997 (with Archie publishing a title from 1995 to 1997). 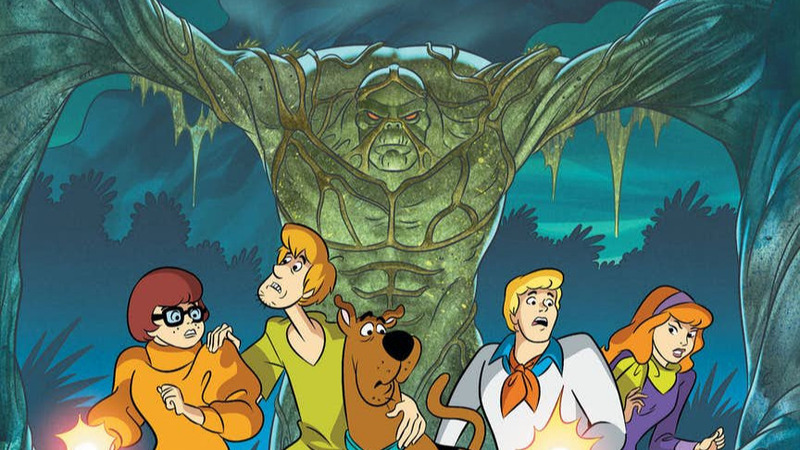 Finally, “Scooby-Doo Team-Up” this month features the gang going to Louisiana to grapple with zombies, only to meet… Swamp Thing! This isn’t the first time the gang’s faced zombies in the Bayou State; the 1998 movie “Scooby-Doo on Zombie Island” also featured the gang dealing with Louisiana-based zombies.